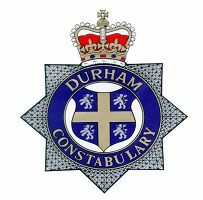 At approximately 12.40 hrs on Friday 24th June 2011 an elderly female ( 73 years old) walked from the direction of the shops in Church Road, Trimdon Village along Beckwith Drive towards Springwell Avenue. At the time she was carrying a dark coloured shopping bag. The female noticed 2 young males near the cut in Beckwith Drive. The lady walked on and as she entered Springwell Avenue she was aware of the males running up behind her. One of the males grabbed her bag and they both ran off in the direction of Trimdon House towards Front Street, Trimdon Village. The lady was shaken but uninjured. The thieves got away with the bag which contained a small quantity of groceries. The police are appealing for any information about this incident and any possible sightings of these two males in Trimdon Village. Police would also like to hear from anyone who may have seen a dark coloured blue/black car which has been seen acting suspiciously in the area at the time of this offence.